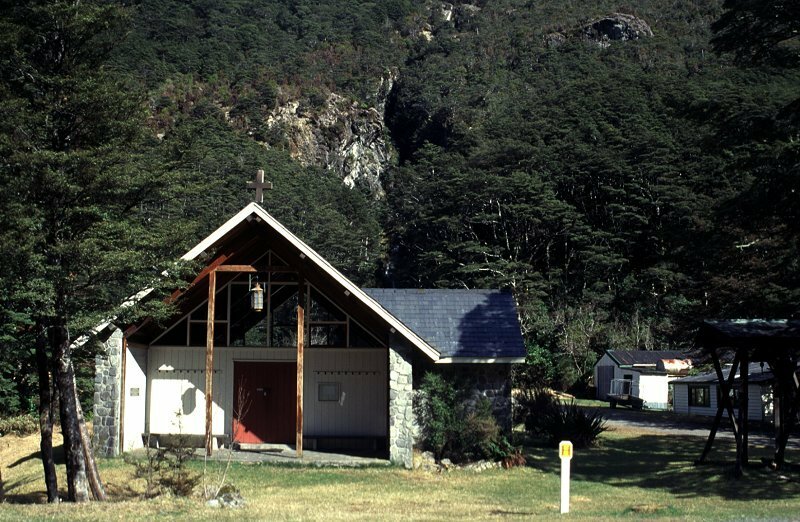 LOCATION: Behind Chapel in Arthur's Pass Village or start at the Visitor Centre and follow pathway north along the back of the "Heli-Pad" (green field) towards Glasgow Bridge & Chapel. 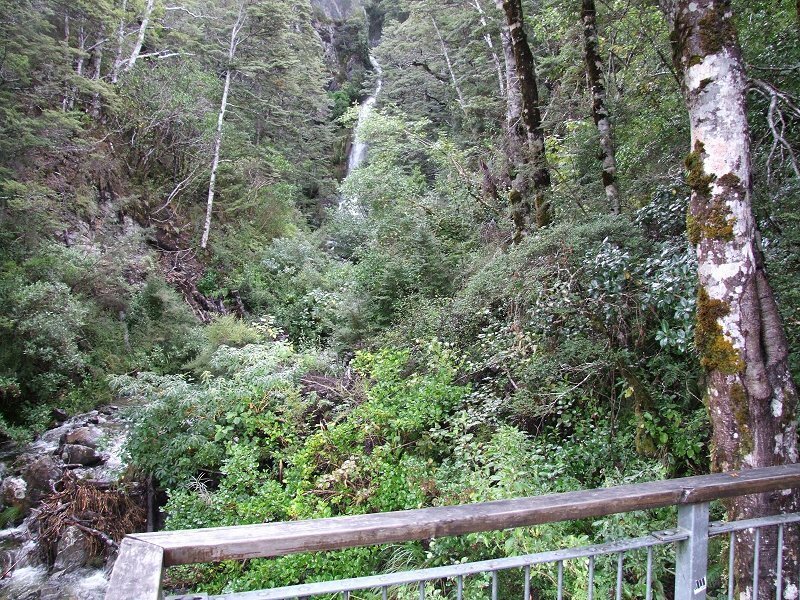 DESCRIPTION:This is the easiest of all the walks in Arthur's Pass Village. 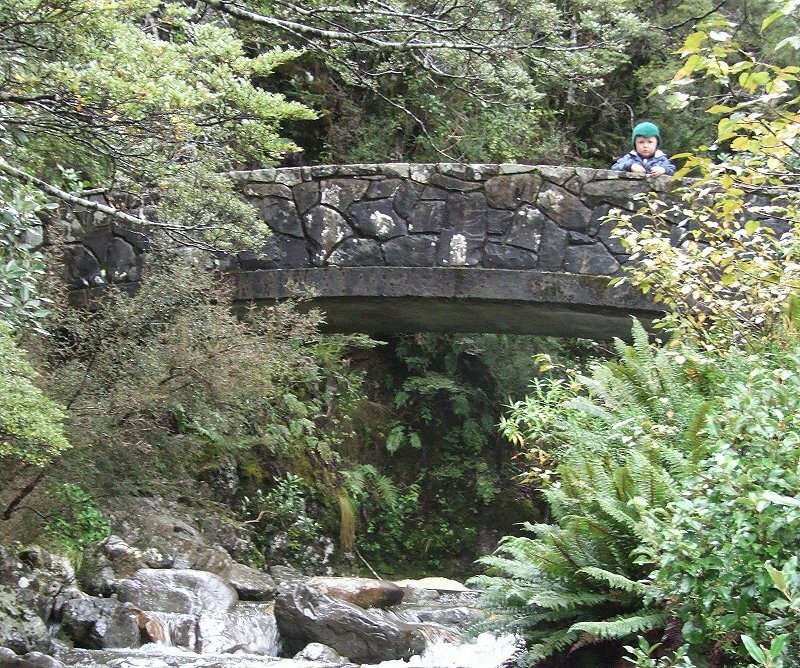 A short stroll up an easy inclined track takes you to a viewing platform amongst native sub-alpine forest. Waterfalls abound both below and beyond the platform. Night lighting (sunset to 11pm) provides a spectacular vista as it lights the main 50 metre high waterfall and lush vegetation. This waterfall occassionally freezes solid in winter. Feel free to drop into the Arthur's Pass Chapel and view the waterfall through it's back window.